The Sewing and Quilting Group has a great time together creating all sorts of wonderful crafts. The things they produce are amazing! If you enjoy the fellowship of an old-time quilting bee you can join in the fun! 9:00 am - 3:00 pm) is a holiday tradition in North Guilford. 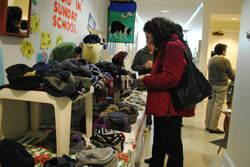 Held around Thanksgiving every year, it is a great chance to find one-of-a-kind gifts for your loved ones. 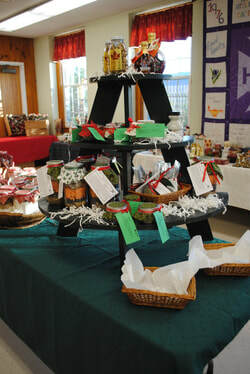 You can shop for delicious baked goods, candies, handcrafts, scarves, hats, jewelry and even homemade Christmas wreathes. Then sit back and enjoy a hot bowl of our famous chowder, soup or chili while you enjoy live acoustic music. The kids can make a craft or buy some inexpensive holiday gifts.